If you are a system administrator or someone who spends time configuring routers or other network devices, you may have the need to place your laptop or workstation on the same network as the network device you are configuring. Most devices, including home routers and other network equipment come preconfigured with a default IP address. This is usually in an autoprivate IP address range of 192.168.X.X. Many times it is cumbersome to have to keep switching your IP addresses to match your router or other network device you are connecting to and be on the IP address range of the real LAN network you are connected to. 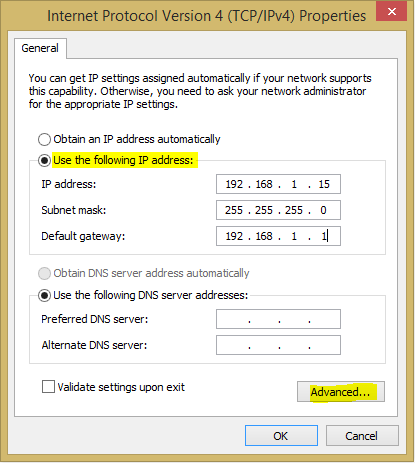 There is an easy way to keep from having to keep switching your IP address back and forth from your LAN address to the configuration address to “talk” to the new network device with its default IP. 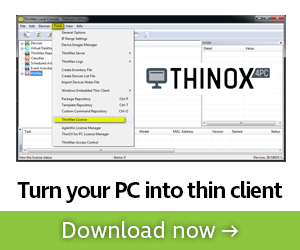 Oftentimes we forget about the functionality builtin to Windows that allows the assigning of more than one IP address. 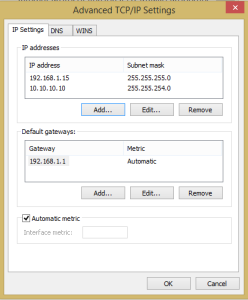 If you take a look at your network properties, you will see that you have the ability to add more than one IP address as well as subnet mask in the advanced properties of your network connection. 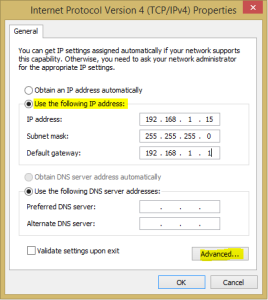 For this to work, you must have a static IP address set and not be getting an IP address from DHCP. 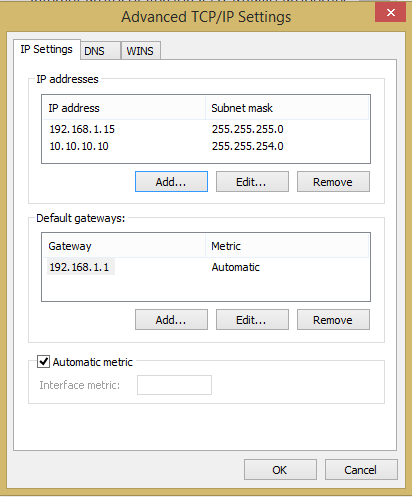 Set your first static IP address and then select Advanced. Next, we need to hit the Add… button in the advanced TCP/IP Settings box which will allow us to specify additional IP addresses. 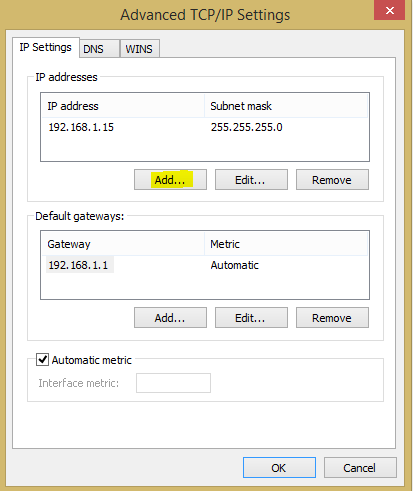 Now, we will simply add the IP address and subnet mask of the additional address space we are needing to work with (our router we are configuring). Now as you can see below, we have both IP addresses we need to work with appended to the network connection. Also, we are not limited to (2) connections. 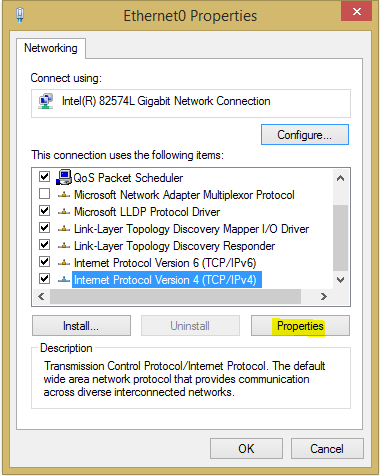 You can add any number of other IPs that you need to or often connect to. 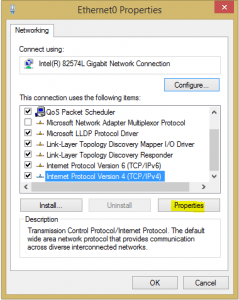 This provides an easy way to keep from having to switch your network connection properties back and forth causing loss of connectivity on one or the other. The only downside to this workaround or method of doing things is that you have to have a manually assigned (static) ip address instead of DHCP. This may not be possible in some network settings as you may not be allowed to set a static IP address. However, if it is possible, then this provides a great way to work on multiple subnets and not have to swap IP addresses back and forth between configurations.